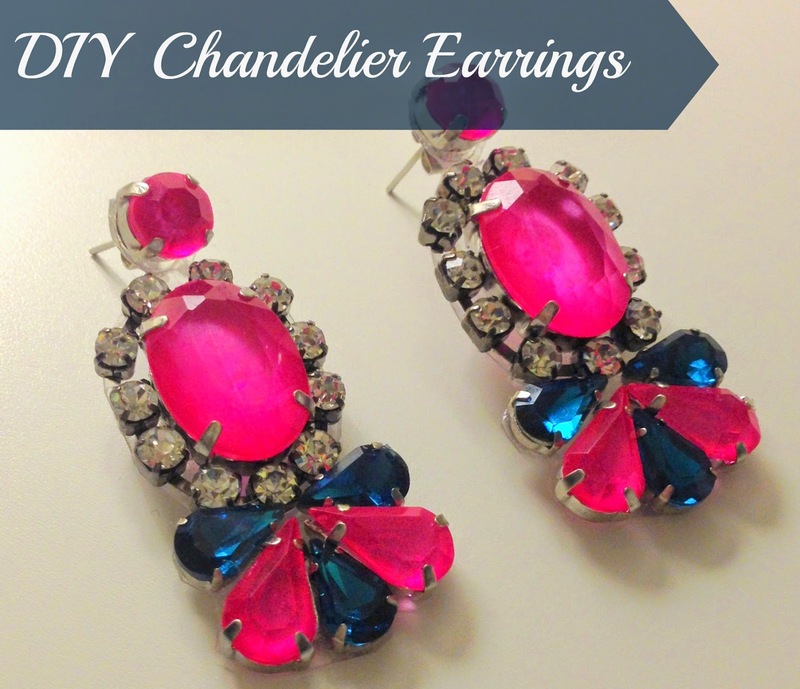 I had a credit from Darby Smart, so I decided to grab a DIY project I've had my eye on - Chandelier Earrings! I just love that everything I need gets shipped right to my front door! No need to waste time and money by going to the craft store and hunting for all the necessary supplies. Of course, if you don't order the DIY box, you can still get everything you need from your local craft store to make these awesome earrings. My kit came with pliers, but I had no need for them, so I guess that was just a bonus! This project takes about 30 minutes from start to finish. All you do is arrange your gems on the clear plastic exactly how you want them to look, spacing and everything. Then you glue each piece down individually to the plastic using the wooden stick so you don't have a lot of glue overflow. Once everything is glued down and you're happy with it, let it dry. Next, you simply cut the earrings fro the plastic making sure to get as close as possible so you won't see the plastic when you are wearing them. Using the same glue from before, just glue the earring posts to the backs of each earring and let dry. There you have it, super cute chandelier earrings!